The plan is for me to dig out some of my old diaries and start to post some bits and pieces from the past, as well as some more current things.. Well, that's the plan anyway! One last thing, all of my notes and comments below are my copyright and are not for stealing or using anywhere without my prior written permission. By all means share the posts in their original form if you would like to.. Copyright 1975-2018. All rights reserved.. 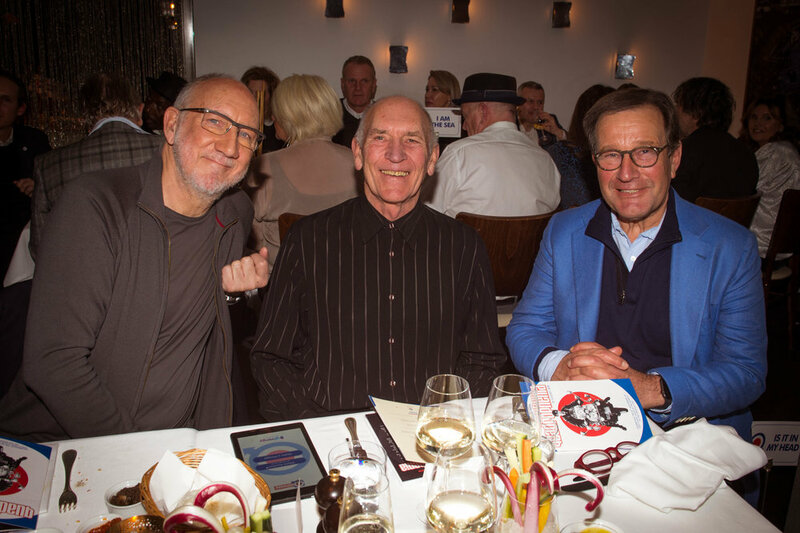 So who would have thought that 40 years later we would all be gathering together in London to celebrate the anniversary of this epic and groundbreaking film, Quadrophenia. This was all in aid of the amazing Teenage Cancer Trust. So, I arrived tonight at the Michelin star restaurant, Locanda Locatelli in London. The one and only Bill Curbishley was the first person I saw as I walked in. It was lovely to see him. It was quiet and really nice to have a catch up and a laugh as well. Very soon after this plenty of people started arriving. Richard Desmond, Chairman of Northern & Shell with his wife. 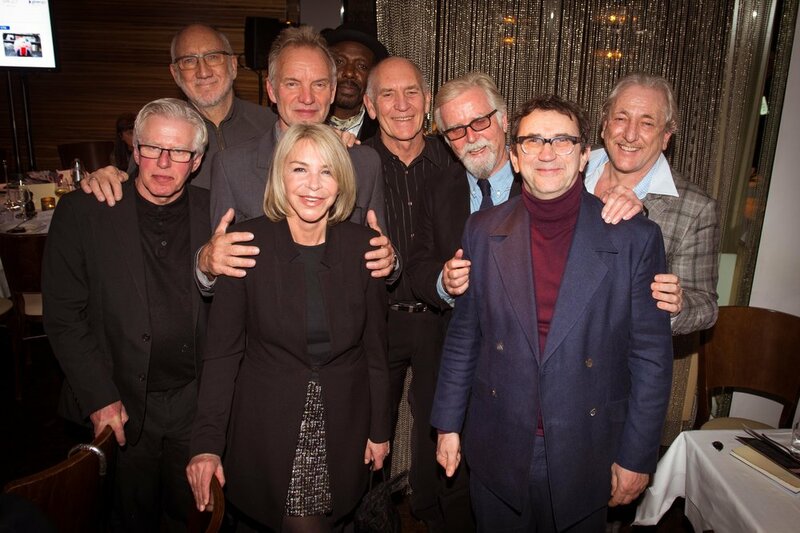 The cast started arriving, Phil Daniels, Leslie Ash, Sting & Trudy, the director, Frank Roddam, Phil Davis, Mark Wingett and others. 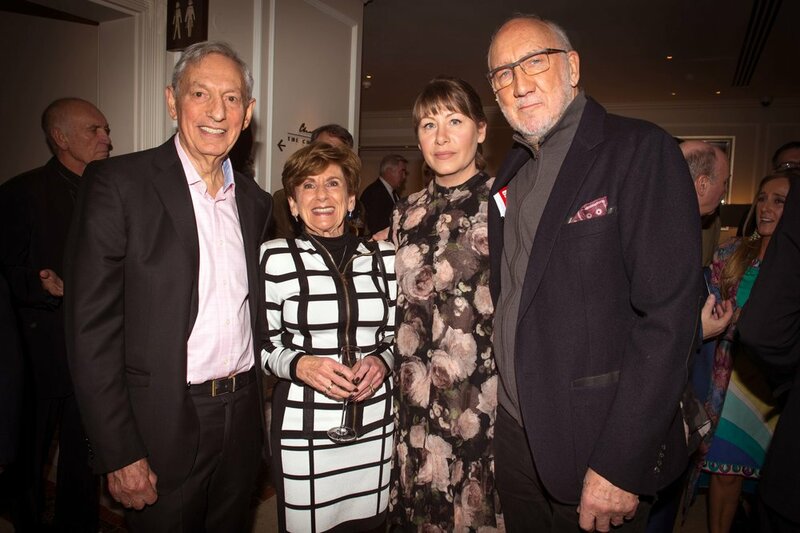 Pete Townshend and Rachel Fuller arrived as well. We all went in for dinner and I took some photos as well. As it was a special gathering, I couldn’t resist and miss this opportunity. I have had a copy of the original script of Quadrophenia since 1978. The chap who wrote the screenplay was Dave Humphries. He used to come and type up the script every day in our office (actually, Bill Curbishley & The Who’s office) in Wardour Street, Soho, London. He was disabled and I would always help him and his driver carry Dave up and down the stairs. When he finished writing the script, he gave me a hand bound copy of it. So, tonight, I got the whole cast to sign it for me, which was nice. That will be one for the kids, I suppose..
Me & Pete. I did ask him where his hair had gone. He told me to have a look in the mirror.. bit rude! Pete Townsend and I had a lovely chat about the old days and we were chatting about one concert in particular, Charlton FC in 1976. Pete told me tonight how much that gig meant to him and why it was so special. It was fascinating. Then we started speaking about Soho. I had forgotten that Pete actually lived in Soho. It was on the corner of Wardour Street and Broadwick Street. At least I think that is where he said it was. He was telling me that this was where he wrote most of Tommy! He went on and was telling me about those hot summer nights in Soho. I actually remember them myself. As a young kid, I was often hanging around in Wardour Street. It’s funny to think that it was only yards from there that The Who would have their offices and I would have an office within it. I did remind Pete that he did written about those drunken hot nights in Soho and he said ‘Oh, I probably did’, I just said, ‘Who Are You’ and he then smiled and me and said ”yes, that’s true” It was so nice to catch up with lots of people tonight. I am not going to go on anymore as I have an early start tomorrow and I am with The STAKS Band tomorrow who are rehearsing for the big gig at Subterania on Thursday night. Here are a few photos from the night with the Quadrophenia Crew.